Your door is as much a statement about you as the beautiful things behind it. It’s the first impression of your home, the first glimpse that lingers in the mind no matter what else follows. Each of our custom exterior, interior and wooden screen doors is created in the spirit of true craftsmanship: handcrafted with precision and most of all pride. 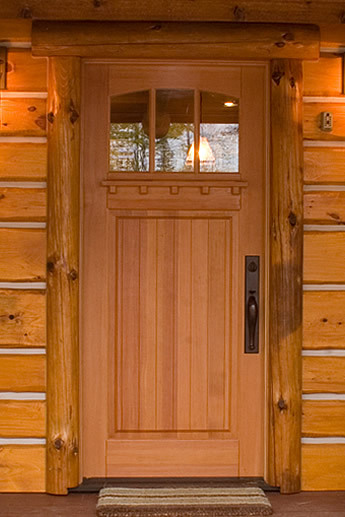 Your door will be custom built from the ground up out of the finest solid wood and engineered components, offering heirloom quality to last a lifetime or longer. 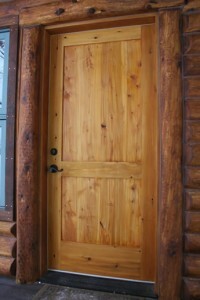 Each rustic handmade wooden door design is fully customizable and limited only by the imagination. We ship doors to any location in the continental United States. Ready to explore custom door possibilities to complement your home, camp or cabin? To find out more about the interior, exterior or wooden screen door you are interested in, or to speak with a Turtle River Millwork design specialist, contact us here.